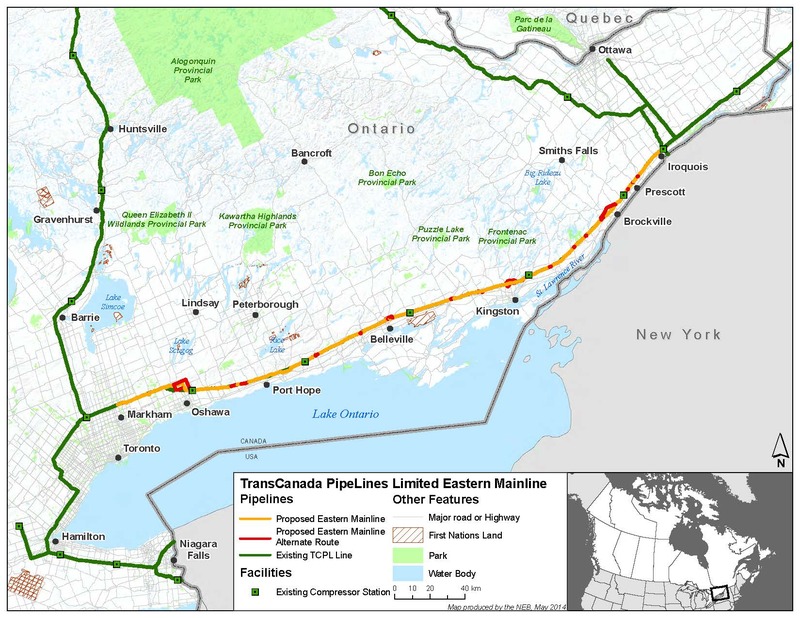 In October, 2014, TransCanada applied to the NEB to build a NEW 250km natural gas pipeline in four sections from Markham, ON to Iroquois, ON. This project is a DIRECT result of the Energy East project. TransCanada requires this new natural gas infrastructure in order to convert a northern mainline pipe from gas to oil service. Customers in North Bay area and Quebec continue to have concerns re: reliability of gas supply. For full application documents, click here.